Nearly a year after Android 6.0 Marshmallow first debuted on the Nexus 5X and 6P, the AT&T models of the Samsung Galaxy Note 4 and Note Edge are finally receiving an OTA for 6.0.1. Samsung has never been reputable for fast updates, and neither has AT&T. This incredibly late update is what happens when you mash the two together. 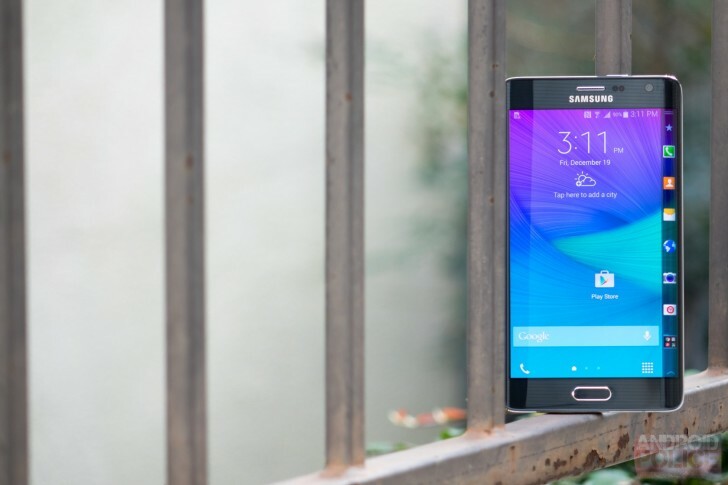 This update is beginning today for both the Note 4 and the oddball Note Edge. For the Note 4, the new baseband version is N910AUCU2EPH5, and the Note Edge's is N915AUCU2DPH5. The downloads, which weigh in at a hefty 1.3GB for both devices, include Android 6.0.1 Marshmallow with the August 1, 2016 security patch, Video Calling, Advanced Messaging, and Wi-Fi Calling. To update, your phone needs to be connected to Wi-Fi and on OI6, OI7, or OI9 firmware. Earlier this year, XDA users found a way to get a Marshmallow beta onto the AT&T Note 4 by flashing an update.zip through the recovery, but that wasn't an official means. The first US carrier to push this update to the Note 4 line was Sprint, which began rolling the Note 4 update out on March 24th and the Note Edge update on April 21st. Verizon's updates came in early June, and T-Mobile's came later that month. Check the source links for more details on these long-awaited updates.